Summit Entertainment just released the latest poster for The 3rd installment of Twilight Saga, Eclipse. The poster is quite simple. It features the three main casts: Robert Pattinson (Edward), Kristen Stewart (Bella) and Taylor Lautner (Jacob) on a very simple photo shoot. 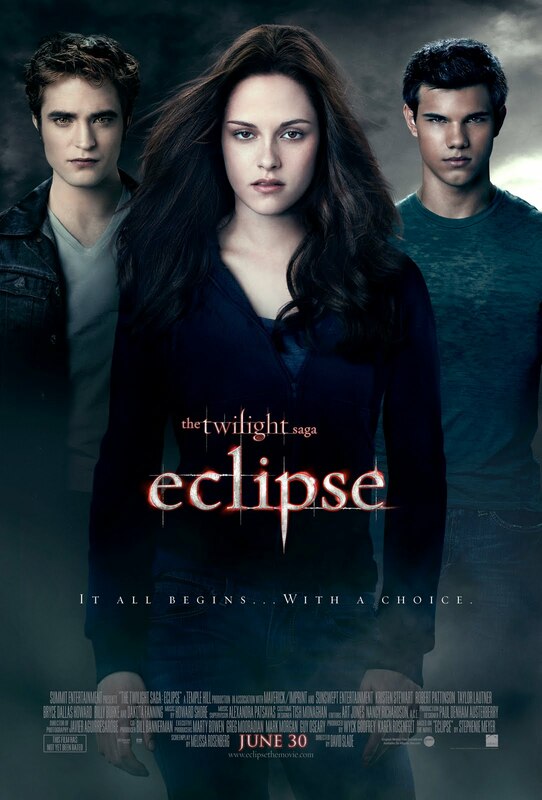 But I know, to non twilight fans like me, this poster looks very plain but to Twifans, this poster is worth killing for. Hahahaha. Coming on June 30 so watch out for it. when Bella takes a nap! oh well let's just see if this one shall be one of IMPAwards worst movie posters categories.